This post was originally published on the data.govt.nz site. 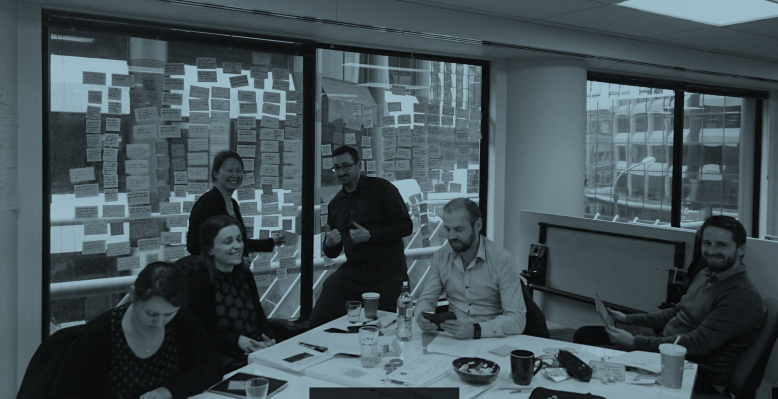 The data.govt.nz, Open Data Programme and Stats NZ teams got together at the Service Innovation Lab in October to share experiences, compare notes and ideate around models that could serve users better in data discovery and use. These collaborative sessions took place over two days; the objective - to deliver to common goals of making data release and use across New Zealand better for everyone. conversations around points of commonality and difference from each agency’s perspective. With an ‘all cards on the table’ approach, by the end of the day the workshop team had a fuller understanding of each other’s space - our user groups, the challenges faced - and a growing sense of the opportunities that a more ‘joined-up’ approach to solving common problems could offer. Day two of the workshop brought the team together to look at issues/problems identified the previous day - collectively concentrating on user and system needs, talking them through, and proposing strategies to meet them. 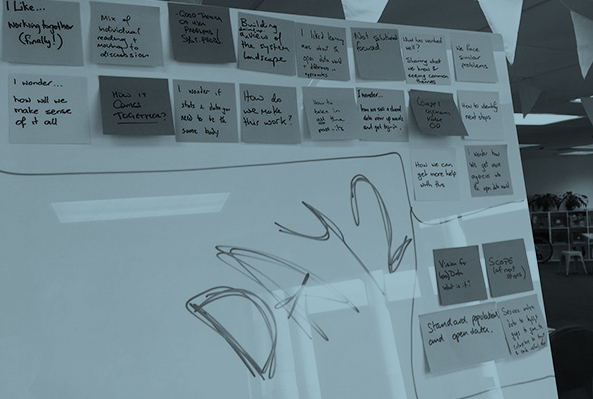 Now was the time to ideate, create and sketch (in more ways than one) paths, products, processes to meaningfully improve the experience of different data customers. Finally, as a wrap-up the workshop team mapped the various user types identified earlier to the different services on offer currently - both inside and outside of government. This was an enlightening exercise, enabling the team to identify possible ‘gaps’ in the system and also highlight areas of possible ‘overlap’; where a more coordinated, cohesive effort could replace duplication and of course improve system efficiency. By the end of day two all were suitably tired, but positive about the work done, knowledge gleaned and ready to take things to the next level in improving things for data users and suppliers across New Zealand. So what’s next? The team will review findings from the workshop with their respective agencies - regrouping over the coming weeks to plan the way forward. The work has brought many opportunities to the table, and all will be reviewed through the lens of providing maximum benefit to both users and the system as a whole. Even in that, the workshop was an unqualified success and is a sign of NZ government working smarter, actively identifying areas that can be optimised to ultimately benefit citizens. DIA and Stats NZ are key players in collaborating to bring tangible benefits to users from across New Zealand and beyond - reflecting their role as functional leads in both the digital and data spheres. Upcoming collaborative work will be tested, validated with that awesomely active data community. The workshop team will work to ensure that the reach of any benefits as outcomes of this work is as wide and inclusive as possible.